The season of Imbolc is upon us. 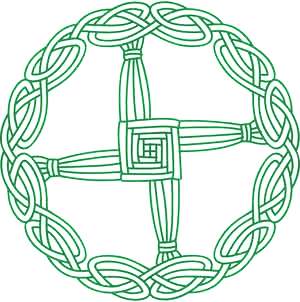 Renew the spring with some Celtic offerings: one new and the other FREE this weekend! Reconciling the Dominions is an old chapter from my dissertation on how the goddess Brigit gets appropriated as a saint (Clive Barker fans may chuckle at that title, but it is fitting). The other is my radio play Con-Eire, a love letter to the intrepid folk who put on SF cons and all the drama that happens behind the scene. The names were changed to protect the…ah…people who would never recognise themselves.